The SR530 highway is once again open to the motoring public. The WSDOT released this statement on Wednesday, April 12th just after 1400 Hours PDT. “Over the past weekend, crews installed 11 monitoring locations to track ground movement and analyzed the hillside twice a day. Snohomish County residents were allowed to return to their homes/businesses/areas after Officials lifted the evacuation order. Please be vigilant to driving conditions as the roadway could close again if the area begins to shift once again. Again, crews checked the slide and found no movement. A new assessment and will be made on Wednesday, April 12, 2017. WSDOT crews have checked the original slide on Monday, April 10th stating there has been no movement found. Another check was due to occur on Tuesday, April 11, 2017. Due to the unstable hillside above the SR530 highway, WSDOT states they have extended the shutdown in both directions of the roadway until at least next Thursday, April 13th. Another assessment will be made at that time. * Sun April 9. Current Temps 46*F and cloudy. 55% humidity with a chance of rain this evening. Winds are at 5 mph. SR 530 remains closed from Mile Post 34-40 so that Geologists can still monitor the land and any movements. On Monday, Officials will reassess the situation to see if it is safe for the motoring public and if they can reopen SR530 once again. A town located in Snohomish County, Washington is approximately 50 air miles from Seattle; is just West of Darrington and South of the North Fork of the Snoqualmie River. It is said to have 180 residents (2010 census). There is no census information to reflect how many were living in the area in 2014. The small town was placed on the international news map when a large mass of mud and debris [approximately one square mile] slid down a hillside covering a rural community and killing 43 in March of 2014. The incident was located 4 miles East of the town of Oso. Families reached a $50 Million Settlement for the 2014 Oso mudslide major disaster due to Officials had full knowledge of the future dangers and risks building/living in the area while not providing that information to residents/visitors. This caused many parties to be at fault for not warning those down below prior to the disaster occurring, leading to many deaths and injuries and listing this as one of the most horrific and largest disasters in Washington State. Oso has also been touched by wildfire. On May 13, 2016, there was a wildfire just off of SR 530 that burned about 100 acres. SR530 was closed last night as a precaution due to the mudslide being above the highway. No actual mud flowed on to the roadway, says WSDOT North Traffic. The roadway is still closed from Mile post 34-38 on SR 530 to enable Geologists to assess the area and if it poses a threat to the motoring public below. 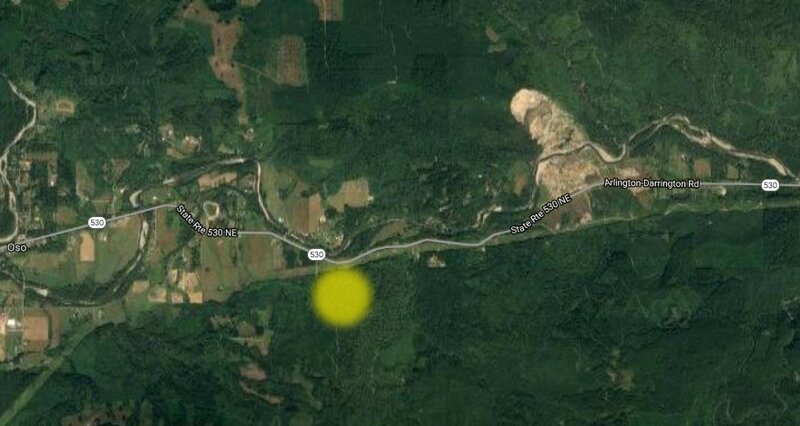 The slow-moving mudslide in Oso, Washington has prompted area residents on the North end of where the unstable ground to evacuate from their homes voluntarily on a precautionary basis overnight. Correction: The incident is not in Skagit County as reported last night but in Snohomish County. Per the Snohomish County Sheriff’s Office, Command is in Unified Command with the Oso Fire Department to be available and work with the residents to ensure their safety (Update around 2230 Hours PDT). About 10 homes in the North end of the slide voluntarily evacuated as an overnight precaution. 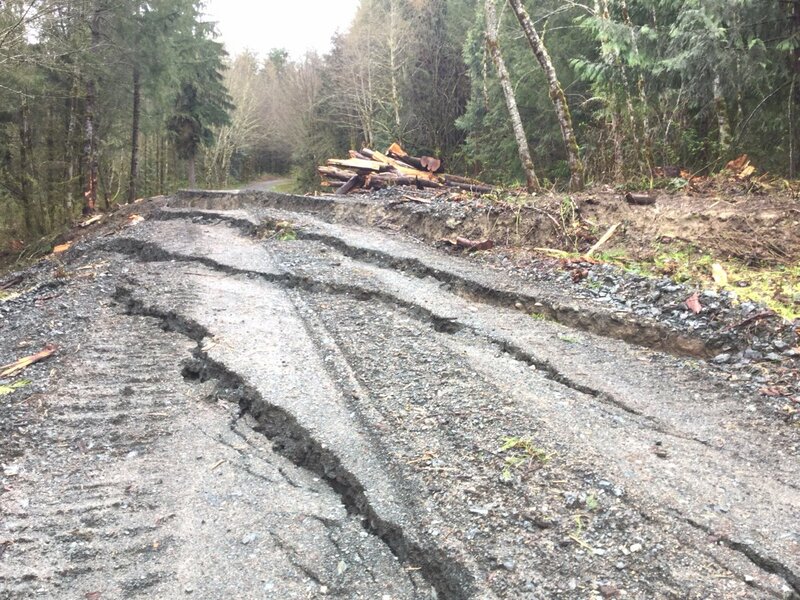 According to the WSDOT’s website last updated at midnight, SR 530 eastbound & westbound directions at Oso Loop Rd (MP 35) to 310th St NE (MP 39) is closed due to the mudslide. There have been no additional updates since last night’s pressers. A slow-moving mudslide has hit the Oso, Washington area around 2015 Hours PDT on Friday evening. 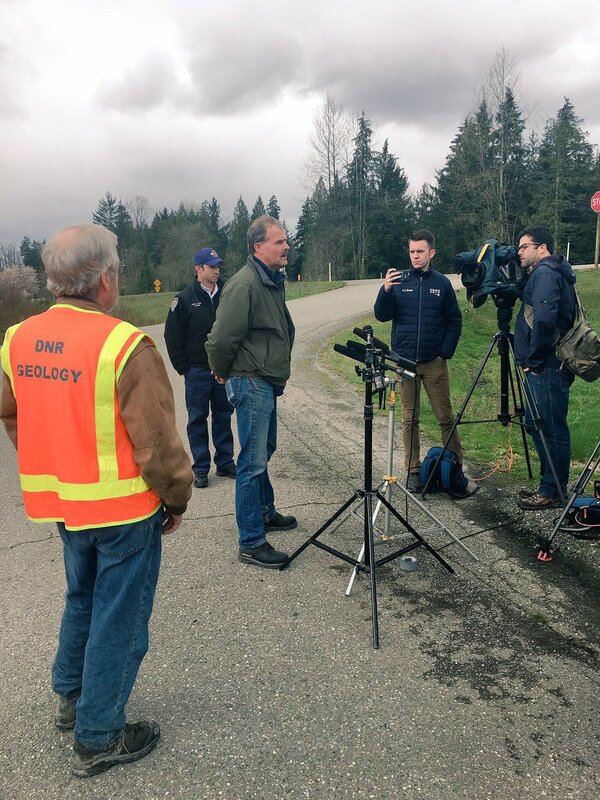 Both WSP and WSDOT were en route to the slide moments after the slide occurred to shut down SR 530, the same roadway involved in the previous devastating Oso mudslide event in 2014. This appears to be about 2-3 miles West of the mudslide that devastated Oso back on March 22, 2014. The 2014 mudslide killed several people, destroyed many lives and brought compassion, kindness and human love upon a much deserving community. “Our hearts nearly dropped again, hearing of a second slide touching the #Oso community. We are hoping for the best in that it is minor compared to the last event. We know they have suffered much. Officials were said to notify homeowners and residents if evacuations were needed. So far no injuries or property damage have been reported. There is no updates from the Oso Fire Department. We are waiting for additional details about this incident.